LOS ANGELES, Oct. 13 (Xinhua) -- The American Heart Association (AHA) announced on Wednesday that a research in mice has shown that Gulf War nerve agent may be tied to long-term heart damage. An analysis of data on mice found that mice developed heart damage 10 weeks after low-dose exposure to sarin, but not earlier, the AHA said in a news release. The heart damage included enlargement of the left ventricle, an electrical conduction problem that could lead to heart rhythm abnormalities, and reduced ability of the ventricles to contract and pump blood, according to the AHA. Sarin is known to affect the nervous system and can cause convulsions, breathing difficulties and death. In this study, researchers examined how sarin affected the hearts of mice. The chemical was injected into the animals at doses too low to produce visible symptoms and the mice were checked 10 weeks after exposure. "These results have implications for the military in terms of conflict and for civilian populations in cases of environmental or occupational exposure," Mariana Morris, of the Boonshoft School of Medicine at Wright State University in Dayton, Ohio, said in the news release. "The two-month period was used to simulate the late-onset effect of sarin/nerve agents in Gulf War veterans. 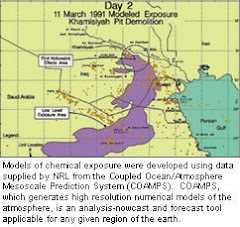 There are suggestions that Gulf War illness, in which symptoms are long-lasting, may be related to exposure to low-dose chemical warfare agents," said Morris. WEDNESDAY, Oct. 13 (HealthDay News) -- Low-dose exposure to the chemical warfare agent sarin may lead to long-term heart damage, a new study suggests. Sarin is known to affect the nervous system and can cause convulsions, breathing difficulties and death. In this study, researchers examined how sarin affected the hearts of mice. The chemical was injected into the animals at doses too low to produce visible symptoms and the mice were checked 10 weeks after exposure. "The two-month period was used to simulate the late-onset effect of sarin/nerve agents in Gulf War veterans. 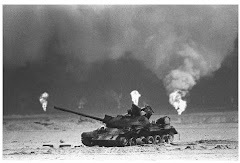 There are suggestions that Gulf War illness, in which symptoms are long-lasting, may be related to exposure to low-dose chemical warfare agents," Mariana Morris, of the Boonshoft School of Medicine at Wright State University in Dayton, Ohio, said in a news release from the American Heart Association. Heart damage that was noted in the mice 10 weeks after exposure to sarin, but not earlier, included: enlargement of the left ventricle; an electrical conduction problem that could lead to heart rhythm abnormalities; and reduced ability of the ventricles to contract and pump blood, the researchers found. "These results have implications for the military in terms of conflict and for civilian populations in cases of environmental or occupational exposure," Morris said in the news release. The study results are scheduled for presentation Wednesday at the American Heart Association's High Blood Pressure Research 2010 Scientific Sessions, held in Washington, D.C.